UPDATE: PIPER HAS A NEW HOME! His new mom fell in love with him the moment she saw him it was reported. What a happy ending! After Gail Schimmel heard the cries of a kitten, she reached out to local rescues for assistance. 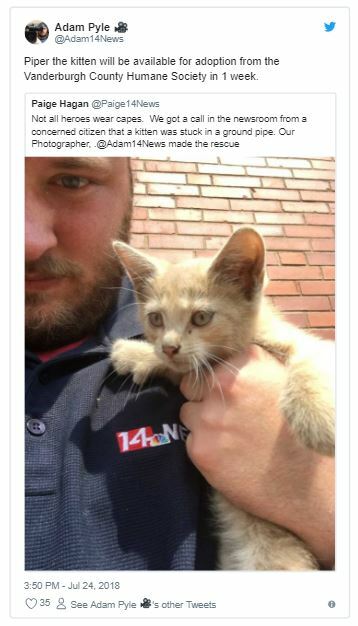 She also contacted WFIE so the kitten rescue from inside the pipe would be caught on camera. However, after six hours of waiting and no help in sight, Gail and news photographer Adam Pyle decided to take matters into their own hands. 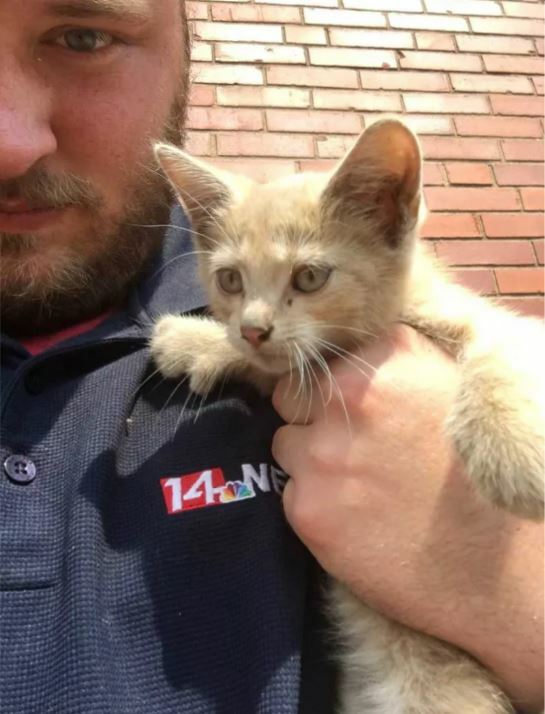 The kitten Adam named “Piper,” is now at the Vanderburgh County Humane Society (Evansville, IN) where he will soon be up for adoption.